The Estonian Competition Authority has taken extra time to decide whether it will approve a transaction made by the Estonian state-owned energy group Eesti Energia with which it is to purchase renewable energy company Nelja Energia from Norway's Vardar Eurus for €493 million. The competition authority decided to take additional time to determine whether competition on the market could be significantly damaged as a result of the transaction, first and foremost by way of the emergence or strengthening of a market dominating condition, the Estonian Competition Authority said. The transaction is also currently being handled by the Lithuanian Competition Council. The Latvian Competition Council approved the transaction on 11 July. 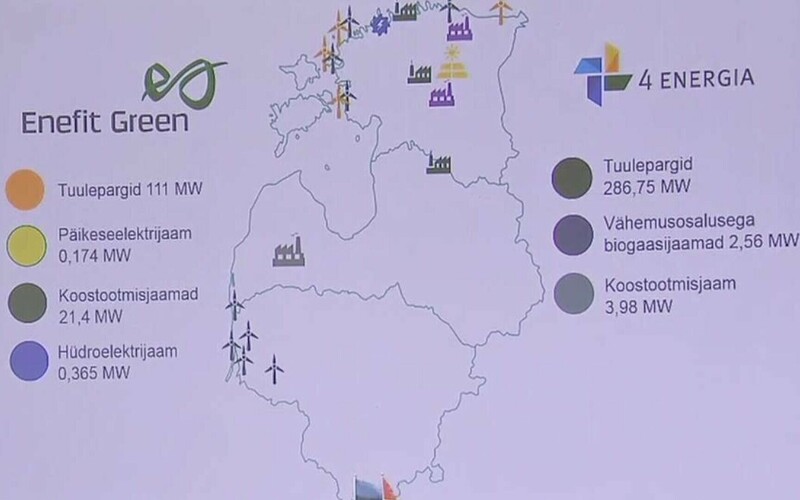 It was reported in late May that Eesti Energia is buying Nelja Energia for €289 million and will also take over Nelja Energia's liabilities worth €204 million. 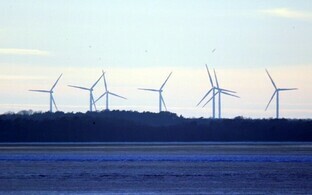 Eesti Energia is acquiring Nelja Energia from Norway's Vardar and other investors. Small shareholders at the end of May signed an agreement with Enefit Green for the sale of shares, which may bring along the transfer of all Nelja Energia shares. 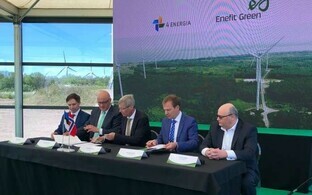 Following the acquisition of Nelja Energia, the amount of renewable electricity produced by Enefit Green will almost triple from the present 0.4 TWh to more than one terawatt hour. 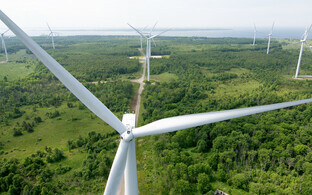 Enefit Green last year produced altogether 372 GWh of renewable energy. 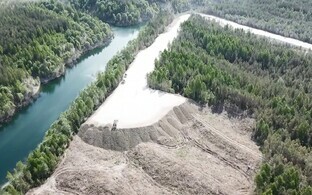 Enefit Green owns four wind farms with a capacity of 111 megawatts, three cogeneration plants in Estonia and Latvia, one hydroelectric power plant and one solar power plant. Enefit Green produces energy from wind, biomass, water, mixed municipal waste and solar. Nelja Energia owns 17 wind farms in Estonia and Lithuania with a total capacity of 287 megawatts. 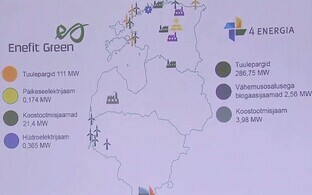 In addition, the company owns a pellet factory and combined heat and power plant in Latvia and has minority ownership in two biogas stations in Estonia. 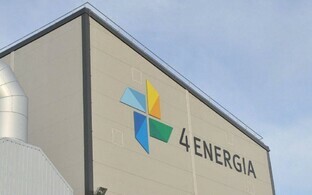 Nelja Energia produced 804 GWh of renewable energy in 2017. The transaction concerns 100% of the shares of Nelja Energia AS. Vardar AS has agreed, through its subsidiary Vardar Eurus AS, to sell its 77% holding of the shares in Nelja Energia. 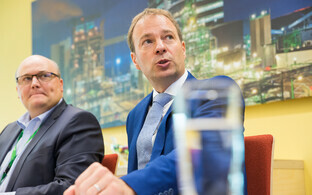 The remaining 23% of the shares is acquired from a number of Estonia based minority investors, including Solarcom OÜ owned by Martin Kruus and Atradius OÜ owned by Kalle Kiigske, both of whom are members of Nelja Energia's current management, and Ivard OÜ owned by Peeter Mänd, Vestman Energia AS owned by Aivar Berzin, JMB Investeeringute OÜ owned by Jüri Mõis, HTB Investeeringute OÜ, Ambient Sound Investments OÜ United Partners Investments OÜ and Kakssada Kakskümmend Volti OÜ owned by Hannes Tamjärv.